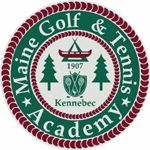 USPTA Tennis Professional Chris Langdon, of Mesa, Arizona is named The Director of Tennis for the Prestigious Maine Golf and Tennis Academy located in Belgrade, Maine, beginning June 1, 2008 through the end of August, 2008. Chris Langdon has lived in Mesa, Arizona for over 18 years and has been a certified tennis professional for over 26 years. •Langdon currently lives in Mesa, Arizona where he is the President of East Valley Tennis Academies. He is married to Melissa Tafoya and has two daughters, Briana and Christa.